This week’s Buddha Weekly teachings video introduces the first three outer preliminaries of Foundation Practices in Vajrayana Buddhism. Don’t miss this short video covering “Key Buddhist practices for busy people”, as taught by the most Venerable Acharya Zasep Tulku Rinpoche at a Gaden Choling Toronto weekend retreat on Ngondro. Traditionally, in Vajrayana Buddhism, students begin with “Foundation Practices” including prostrations and offerings, meditation, purification practice, and Guru Yoga. In part 1, Rinpoche explains why foundation practices such as meditation on precious human birth, death and impermanence, and Karma are important practices for our busy, stressful lives. Rinpoche is popularly known for his approachable teaching style, strong humour and teachings based on a long lineage of great lamas. 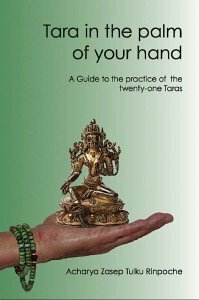 His own gurus included the most celebrated of Gelug teachers: His Holiness Kyabje Trijang Rinpoche, His Holiness Kyabje Ling Rinpoche, Venerable Geshe Thupten Wanggyel, His Holiness Kyabje Zong Rinpoche, Venerable Lati Rinpoche, Venerable Tara Tulku Rinpoche and Venerable Khalkha Jetsun Dampa Rinpoche. 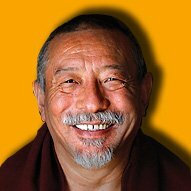 Rinpoche is spiritual director of many temples, meditation centres and retreat centres in Australia, the United States and Canada. He was first invited to teach in Australia by Lama Thubten Yeshe in 1976.